As of a couple of weeks ago, How About We for Couples is live in Los Angeles! 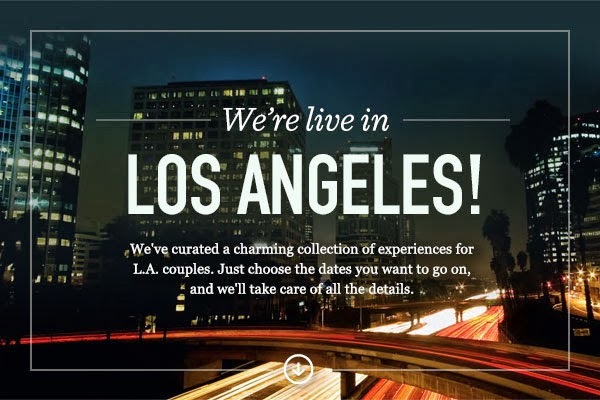 Last summer while in New York, I heard about this "curated dates/experiences" site and was disappointed that it wasn't available yet in Los Angeles. but now it's here. I'm really excited to give this a try. There aren't as many dates/ experiences available yet, but that's probably because they just launched. Like a lot of things (like good wine), it'll get even better in time.